Why Is an Earthquake Constructive? It may come as a surprise to learn that earthquakes and their aftereffects, tsunamis, can have a positive impact on the environment. In 2012, two years after the 8.8 earthquake in Chile, South America, scientists and researchers discovered that long-forgotten habitats re-emerged, and flora and fauna experienced a resurgence after the earthquake and its resulting tsunami. Earthquakes also allow scientists to learn more about the Earth’s interior by studying and reading how seismic waves travel. Researches learned that earthquakes and the resultant tsunamis can have a positive effect on beaches that disappeared through erosion. As sandy beaches make up 80 percent of the coastlines of the world, nature's devastating effects can recreate new wide and flatter beaches and bring back flora and fauna along continental shores that lift up during the earthquake. Earthquakes and resulting tsunamis typically leave destruction and devastation in their wakes, resulting in a major catastrophe for beach ecosystems along the shoreline. Researchers from UC Santa Barbara's Marine Science Institute did discover high mortality of the aquatic flora and fauna along the rocky shores of south central Chile, but they also discovered that the aftereffects of these natural disasters recreated new sandy beaches where none existed for years. The MSI researchers already studied the effects of man-made intrusions on sandy beaches, such as sea walls and rocky revetments, before the earthquake hit, so they had benchmarked the condition of many beaches along the south central Chilean coast. After the devastating 2010 earthquake and tsunami, they decided to study these same beaches to measure the effects of the natural disaster. They surprisingly discovered new sand dunes dotted with plants where before no plants previously thrived. In areas where an oceanic plate subducts or goes beneath a continental plate, uplift occurs, with the continental plate rising higher than the oceanic one, so beaches widen and flatten. The results of the study showed that the construction of sea walls and rocky retaining walls, called coastal armoring, eventually destroys sandy beaches through erosion and washing them out to sea. But after the natural disaster, most of these areas affected by coastal armoring received new deposits of sand and entirely new beach areas in front of the coastal armoring. In California, geologists and researchers study the seismic waves or the energy output by earthquakes along the San Andreas fault. These studies help researchers to understand the makeup beneath the ground as the seismic waves travel through the earth. Earthquake studies also help to identify hard and soft soil sites, the rocks beneath the ground and the effects of liquefaction, where the soil responds like water, during an earthquake. 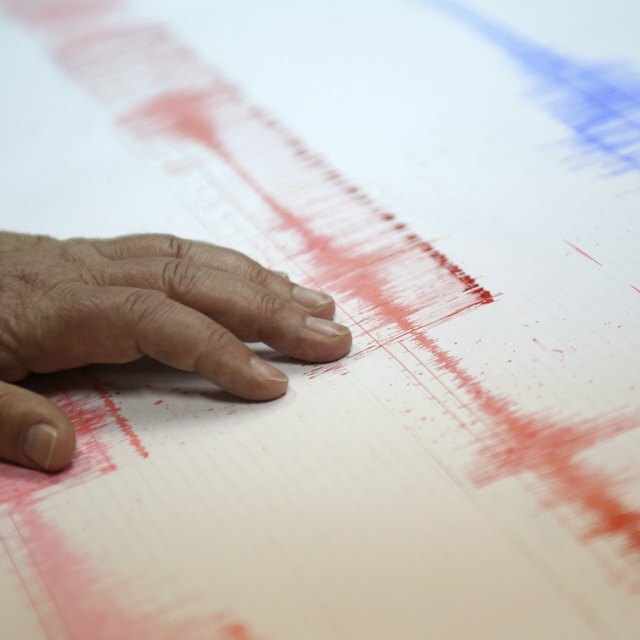 By studying seismic waves, scientists hope to find ways they can predict earthquakes well in advance of when they occur. Brenner, Laurie. "How Do Earthquakes Positively Affect the Environment?" Sciencing, https://sciencing.com/do-earthquakes-positively-affect-environment-8761480.html. 11 April 2018.